Have you ever had your heart broken? It knocks the wind out of you. And to catch your breath again, after the initial shock of it all, your brain has to settle back into a body that’s now apart and independent, no longer one piece of a whole. That process is painful, and educational, and sometimes weird, and usually long. A lot of us go through this, and after listening to Melodrama all weekend, it sounds like Lorde’s been through it, too. It just so happens that Lorde is a nearly superhuman artist who can put this process into song. Melodrama is often a meditation on heartache, and on overcoming that trauma. Lorde introduced us to a record we waited years for with what turns out to be its introduction, “Green Light,” a backtrack to those times you finally feel the serotonin and adrenaline pumping. A few songs on the record do this, like “Homemade Dynamite” and closer “Perfect Places.” You want to go out, meet someone, dance around, get drunk. And while you’re pounding beers, Lorde is pounding electric beats. Sometimes, you’re torn. Both “Liability” and “Liability (Reprise)” sound lonely and hopeless, but with entirely different energies. Lorde repeats lyrics, but from separate points of view: Lorde is told she’s a liability in the first, Lorde takes ownership of the label in the second. I won’t pretend to understand what these songs mean, exactly, but they are the Gemini of the album, two faces of one mind. Heartache can split the self into pieces, that’s for sure. Other times, you go crazy. You call your ex 45 times in a row until they block your number, even though you’re not sure what you’d even say if they answered, that begging them would only push them further away. “Writer In The Dark” nods to this (“I’ll love you ’til my breathing stops / I’ll love you ’til you call the cops on me”) - hey, we’ve all been there. And still other times, you recognize you’re getting closer to being okay, and to be honest, that may be the scariest part of this whole thing. There’s something about accepting that it’s over that is more terrifying than being in the grips of sadness, because acceptance means moving forward, means giving up on wanting things to go back to the way they used to be. Tracks “Hard Feelings” and “Supercut” are two of the most powerful on Melodrama because they exist in this point when your desire for getting a relationship back takes its last gasp. You move on with your life and go through the motions, but random things will pull you back into past moments, and suddenly you’re crying in the supermarket. 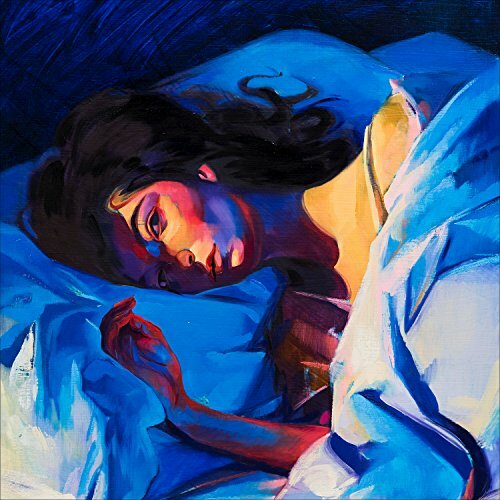 Lorde sits in this limbo of living in the present while enduring memories of the past with “Hard Feelings.” The song is both ethereal and powerful thanks to these mechanical, industrial sound effects that have a voice of their own, giving life to the track the same way Broken Social Scene does in many of theirs. It’s a reflection on a relationship, no doubt, but also of the future: “I light all the candles / cut flowers for all my rooms / I care for myself the way I used to care about you.” This may be one of the most important messages of the record: you may grieve for the loss of love, but it’s not really lost - you just have to redirect it back at yourself. “Supercut,” too, reflects on these scenes of the past. The spirit of the track is the same that makes Robyn’s “Dancing On My Own” so healing, with an energetic beat under lyrics of defeat (“In my head, In my head, I do everything right / When you call, when you call, I’ll forgive and not fight / Because ours are the moments I play in the dark / We were wild and fluorescent, come home to my heart”). Of course, not every song on Melodrama is such an obvious ode to a breakup. “The Louvre” is one of the album’s strongest and seems to be more about the start of something new. That’s proof enough to anyone listening that there is a whole life to be lived after a heartbreak - indeed, the whole song is about making everyone dance to the boom of a heart that is, in fact, still beating. If you’ve never had your heart broken, this review probably seems pretty, um, melodramatic. But it’s the truth. Overcoming heartbreak is about reframing your experience. Lorde does the over and over and over, looking back in sadness and ahead with promise and in the middle with confusion and fervor. It’s a journey that can make you doubt yourself and your ability to ever stand up straight again, and it’s messy. The genius of Lorde is that she turns this mess into utter, agonizing beauty.